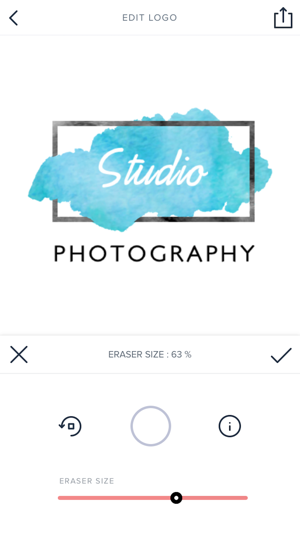 Watercolor Logo Maker let’s you create beautiful watercolor logo designs! Perfect for creative business owners who make beautiful products and services for their customers. 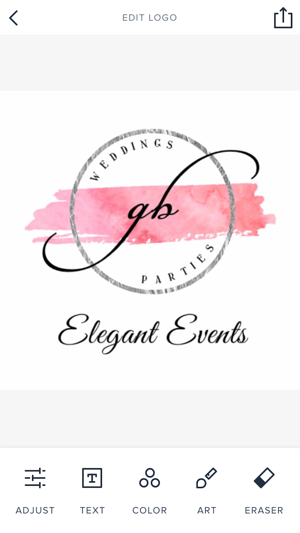 Give your logo a fresh handmade artsy look! 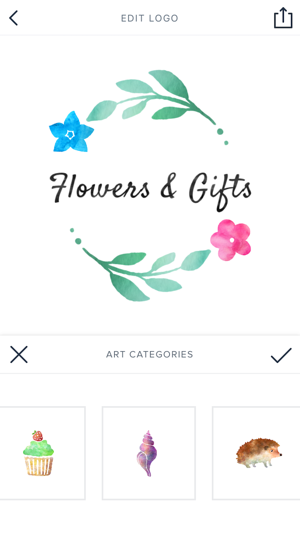 - Select a logo category and start your custom watercolor logo design. 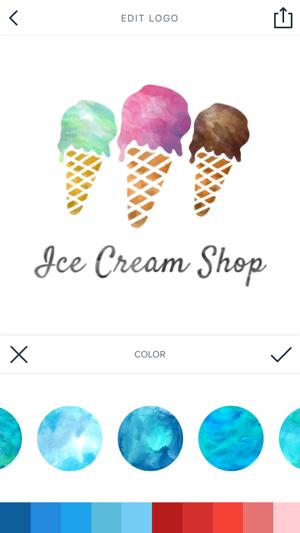 - Once you’ve selected a watercolor logo category then start swiping through until you find your favourite logo design style! - Scroll through and choose from carefully painted watercolor textures, foils, fonts, and artwork to create your custom watercolor logo design. - Want to make a 3D watercolor logo design? Add a basic art shape frame to your logo and use the 3D Logo Eraser tool to make your logo design pop! - Once you’re done just save your work as a high resolution PNG file. You now have a stunning, unique, and beautiful watercolor logo design! 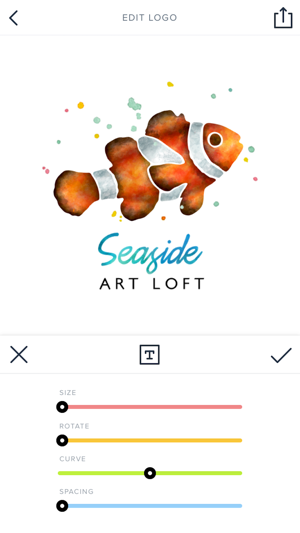 Watercolor Logo Maker 2.0 is here! • All new logo styles with texture and multicolor variations! • All new artwork in full color with shading! • All new fresh watercolors! I would love to leave 4 or 5 stars, but I just can't do it with all the problems this app has. It's got a really beautiful look to it and potential to be excellent. I bought it on the recommendation of a friend who had great luck with it. It happened to have the perfect image for her logo and she never once had the app crash. I happily paid the $10 to unlock everything, even though I wasn't sure I would need all the features. I would have paid even more if there were more art images to choose from. (I specifically needed a Zinnia flower, but their flower selection is pretty limited.) My biggest problem with the app though, is that it crashes constantly, causing me to lose everything and start again. Even when it doesn't crash, sometimes I simply try to go back a step to change one thing and find I have lost everything. I tried contacting the developer to report the bug and to leave the feedback they request, but to no avail. In the end, I had to abandon the app and get a refund through Apple. 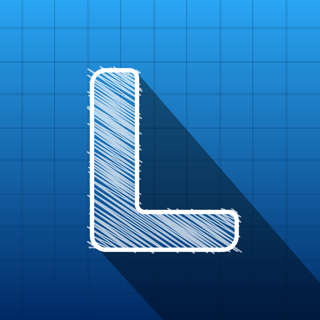 Very disappointing since I was excited to have found a beautiful and simple tool to create my logo. I hope they figure out how to solve these problems and do better with customer concerns. I’ve spent hours working on a detailed logo, tweaking the layers, colors, and fonts... only for the app to crash and lose all my progress. So I start over (mind you, this isn’t the first time or even the 2nd or 3rd time... this is the 10th time AT LEAST) AGAIN, more time working on the little details, I go to save my beautiful masterpiece of a logo and guess what! THIS PIECE OF CRAP APP CRASHED ON ME WITHOUT SAVING! I thought I was finally done with this nightmare of an app and I was going to save my logo and at least get my money’s worth since I had invested the $9.99 to unlock all features, but nope. It’s worthless. I can’t get this app to do anything for me. I give up. I tried reinstalling and updating my phone but that didn’t help. I want my money back and in a perfect world- I would be compensated for all the time I have wasted on this app. Don’t download this crap! It’s not worth the headache. I want to throw my phone out the window, if I had went thru with throwing it- they should have to cover replacing it too since my frustration is a direct result of this apps shortcomings.